Nestling at the foot of Mount Olives is an olive tree grove called, “Gethsemane.” The gospel writers describe this place as a “garden” – John 18:1. From its Aramaic root, Gethsemane means, “oil press.” Its name refers probably to the burgeoning oil press industry that once operated surrounding Mount Olives. There was nothing notable about Gethsemane, except that it was one of the few places that Jesus Christ frequented during his ministry – v.2. In fact, when Judas Iscariot was hatching his evil plot to betray Jesus, Judas knew that it was in Gethsemane that he would most likely find our Savior. He was right. Seasons have come and gone, yet, Gethsemane remained relatively obscure and secluded. But on this particular night, Gethsemane’s place in history would change forever. From its insignificance, Gethsemane would be catapulted into prominence of extraordinary proportions. Jesus was distressed. He was about to be betrayed no less than by one of His apostles, Judas Iscariot. After singing one of the Hallel Psalms written in Psalms 113-118 with His disciples, Jesus hurriedly left the Upper Room. He requested for Peter, James, and John, Jesus’ most trusted confidants, to accompany Him. Distraught and deeply troubled, Jesus didn’t say a word. He just kept walking. But He knew where His feet were taking him – Gethsemane. Upon arriving at a spot in the garden, Jesus dropped to his knees and broke down. “Abba, Father, all things are possible for you. Remove this cup from me. Yet not what I will, but what you will” – Mark 14:35-36. Vexed and severely stressed, Jesus bled profusely from both eyes – Luke 22:44. For three straight hours, with only intermittent pauses just to check up on His equally sorrowful disciples, intolerable anguish and torment gnawed at Jesus. Oh, if only the olive trees of Gethsemane could console the darling of heaven, they would have done so! But what the garden of Gethsemane could only do was serve as a mute witness to the travails of the Son of Man, who was kneeling broken in a corner. 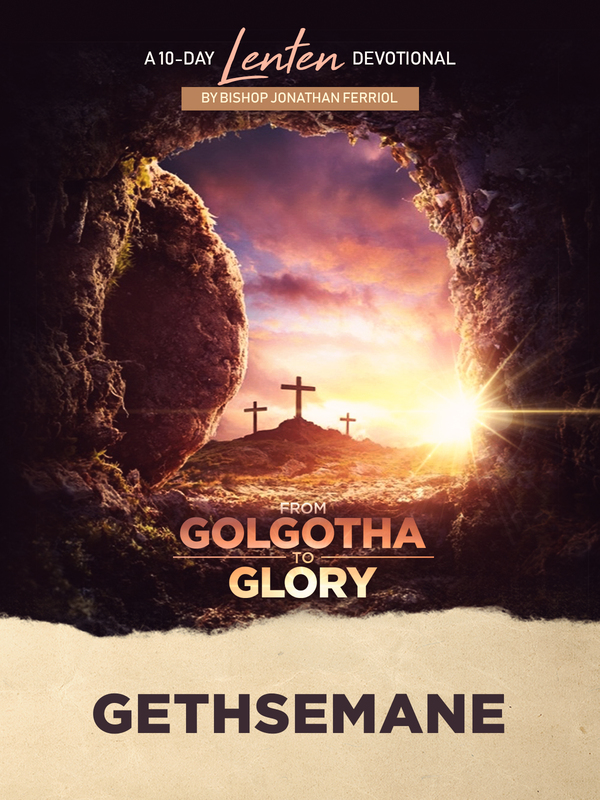 Gethsemane provided Jesus space where our Savior was able to collect himself and to muster the courage He needed to face Golgotha. Those three hours He spent there, wasn’t pleasant at all. Gethsemane broke Him and wasted Him. But it was also in Gethsemane, Jesus was made whole. 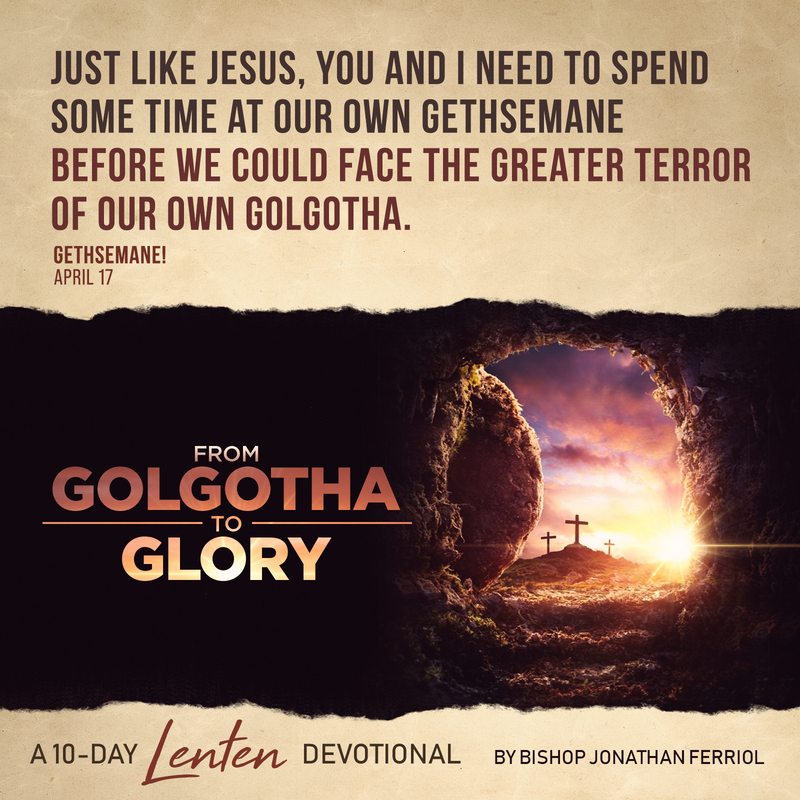 Just like Jesus, you and I need to spend some time at our own Gethsemane before we could face the greater terror of our own Golgotha. Your Gethsemane could be that season in your life that you have more questions than answers, confusion than clarity or weaknesses than strength. But with prayer and submission to the ultimate will of your Father, like Jesus, your Gethsemane will ultimately strengthen you! One day, after you have triumphed over your Golgotha, you will visit your Gethsemane and kneel down again prayer. But never in travail anymore but in thanksgiving!